Siena Has Found a Home! 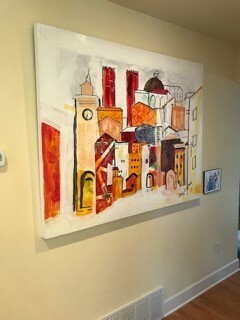 “Siena” was recently purchased by an Edmond’s resident. 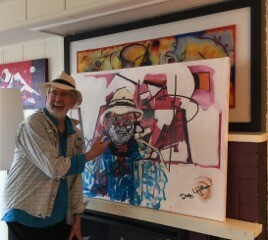 It is a large acrylic—48” X 60”. We particularly like that a small self portrait giclee is mounted next to it. © Doug Lofstrom, 2019. All rights reserved.